Abstract : China's Hong Kong Special Administrative Region (SAR) and Australia have concluded the negotiations on a free trade agreement (FTA) and an investment agreement, the two sides announced on Thursday. PORT MORESBY, Nov. 15 (Xinhua) -- China's Hong Kong Special Administrative Region (SAR) and Australia have concluded the negotiations on a free trade agreement (FTA) and an investment agreement, the two sides announced on Thursday. The arrangement would take the two economies' trade and investment relationship to a "new height," said Edward Yau, secretary for Commerce and Economic Development of the Hong Kong SAR government, who met with Australian Trade Minister Simon Birmingham here on Thursday on the sidelines of the Asia-Pacific Economic Cooperation (APEC) ministerial meeting. He said Hong Kong and Australia are two like-minded economies in pursuit of free trade, adding that Australia is also a very important trading partner of Hong Kong. "Hong Kong has set clear objectives in launching the FTA negotiations to achieve zero tariffs for Hong Kong products to the Australian market and to secure Australia's best FTA commitments for Hong Kong services," he said. "The two agreements encompass trade in goods, trade in services, investment and other related areas, providing us with legal certainty and better access to the Australian market," he added. Describing the deal as a "significant milestone," Australian Prime Minister Scott Morrison, who was in Singapore, said in a joint statement with Birmingham that the deal will be a major windfall for Aussie businesses and service suppliers and "good news for our farmers, and in particular our seafood industry, our beef and pork producers and winemakers." "Hong Kong is a large and vibrant market for Australian goods and services and is a major gateway for Australian producers into East Asia," the statement added. In 2017, Australia was Hong Kong's 19th largest trading partner, while Hong Kong was Australia's 12th ranking trading partner. Bilateral trade in goods between Hong Kong and Australia amounted to 6.92 billion U.S. dollars in 2017, up 3.7 percent from 2016, according to Hong Kong SAR's Trade and Industry Department. Over the past 12 months, the Hong Kong SAR government has signed three FTAs with 12 economies including the 10 member states of the Association of Southeast Asian Nations (ASEAN), Georgia and Macao SAR. 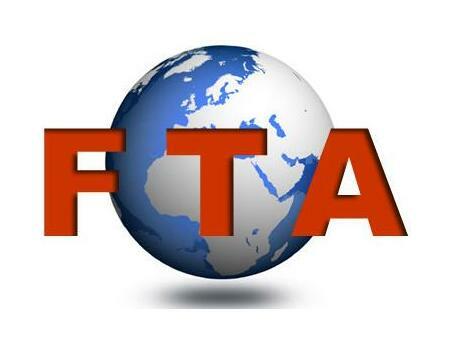 Negotiations have also been concluded on a FTA with the Maldives. Hong Kong and Australia are expected to sign both agreements in the first half of 2019.